Ross Brawn says Mercedes is "half a second" off the pace after finishing third and fourth in the Belgian Grand Prix. Lewis Hamilton had started on pole position but dropped behind Sebastian Vettel on lap one and then Fernando Alonso later in the race. Nico Rosberg dropped from third to fourth behind Alonso early on too, and Brawn said Mercedes was lacking some pace at Spa which was most evident in the early stages of the race. 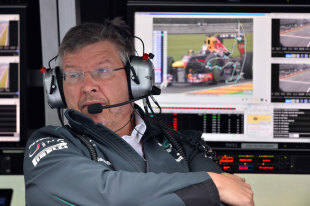 "It was about where we thought we might be," Brawn said. "We were hoping we might have picked up a little bit of a better balance … in fact the car didn't look too bad at the end. We're not quite sure why we struggled so much on the first couple of laps as we were sitting ducks. But that's probably where the car was and we're half a second slower than we need to be." With Hamilton and Rosberg able to hold off Webber late on Brawn said the main encouragement came from another race where the team had no problems with its tyres. "We didn't have any tyre issues, which was great. On the last stint both drivers were able to push hard when they needed to and defend their position against Webber, so that was OK. We're getting there but it's a moving target and Red Bull are not sitting still." Brawn added that he was hopeful of a more improved showing in Monza. "It's an outlier for the sort of tracks that we have this year, so none us really know quite how that is going to pan out. 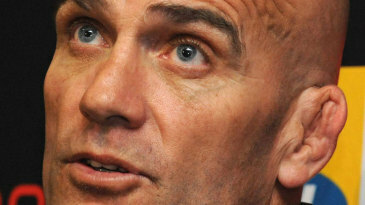 I wouldn't say we want to make any predictions but we're optimistic."